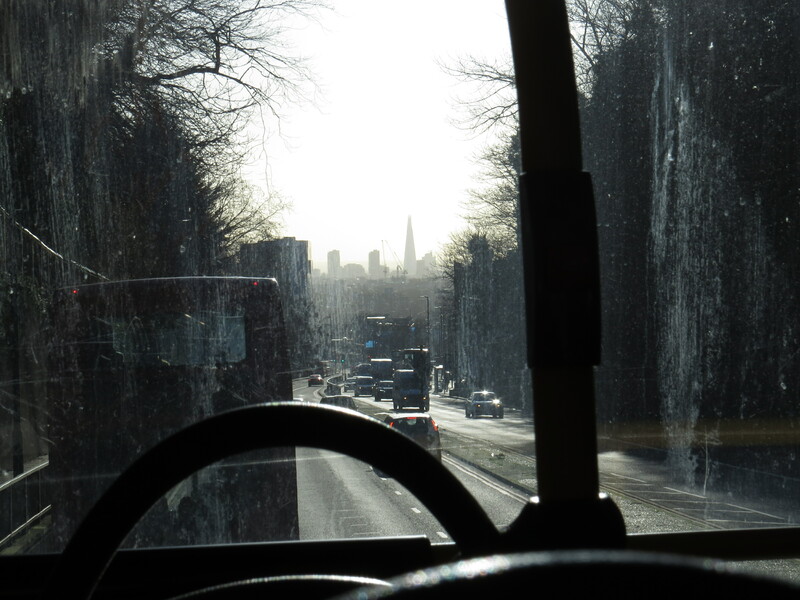 A Bus Trip to Tate Modern…. Dear Readers, I have always loved taking the bus. My father was a conductor on the trolley buses that used to ply their trade in London in the ’50’s and early 60’s, and I remember him remarking how much he hated going upstairs to collect the fares: the combination of cigarette smoke and perfume was nauseating, especially first thing in the morning. But there were happy memories too: Mum would often get the bus when Dad was ‘conducting’ and would sit and watch him running up and down the stairs and being cheerful and pleasant to everyone. 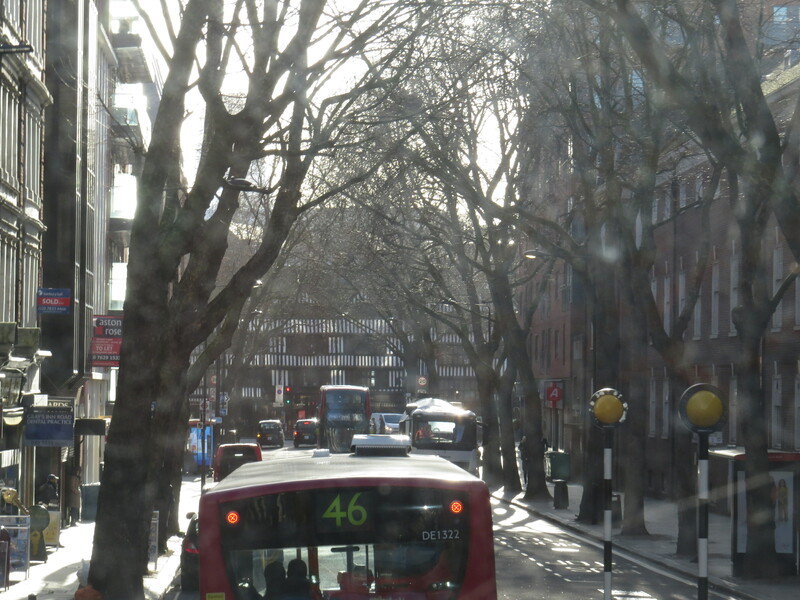 Who knows if love was born on the number 25 bus between Stratford and the West End? I can think of much worse starts. ‘Well, the bike might have got run over’. Yes indeed. But Mum soon put Dad straight, and, a few years later they were married, as they still are sixty and a bit years later. So you can see that I have acquired my love of buses honestly. I would always rather take the bus than the tube if I have time, because it helps me to see how the different parts of London fit together. Plus, there is always something going on outside to attract the attention. So, today, I decided to take a trip to Tate Modern on the bus. I take the 263 to Archway, and then the 17 to St Pauls, where I can walk over the Millenium Bridge. Thanks to the new Hopper fare I only pay once, which is very gratifying. 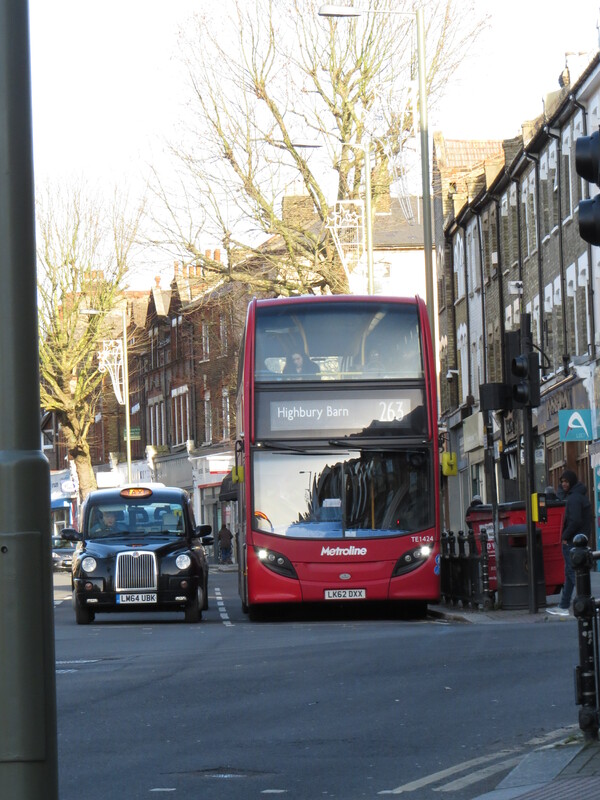 And I have such plans for taking photos through the window as the bus crawls slowly down the Archway Road! 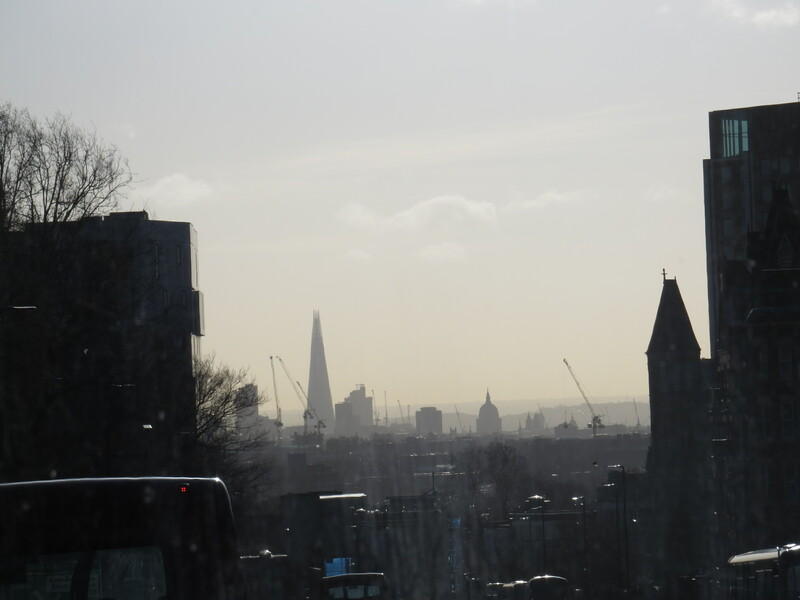 Unfortunately, there is no traffic, and so the bus speeds along and photography, already a challenge what with the dirty windows and the bright, bright sunshine, becomes a game of ‘snap and hope for the best’. So, here is what I managed to capture. 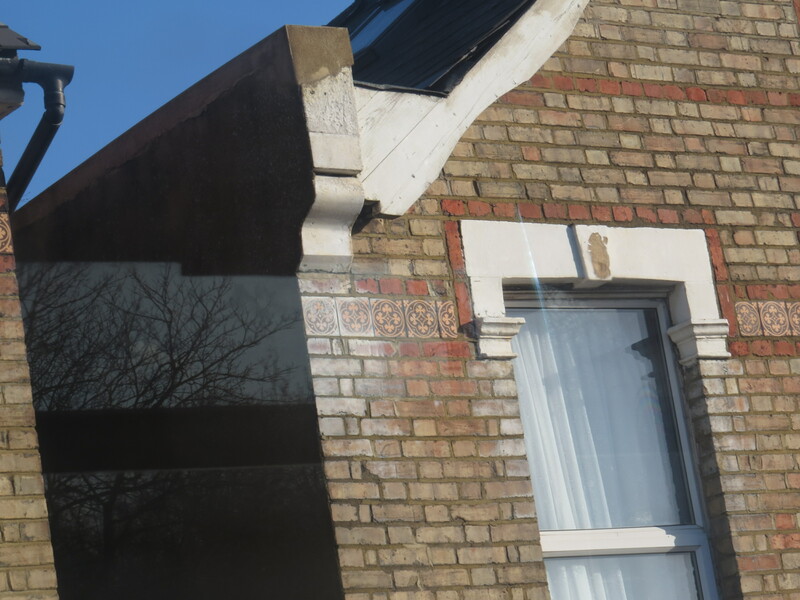 Some tiles on the front of a group of rather run-down houses. Once upon a time, I suspect that they were rather grand. This is known locally as ‘the suicide bridge’, as it’s a place where folk in the deepest despair come to end their lives. I wonder why the powers-that-be can’t make it more difficult for people to do this? Although, to be fair, I haven’t walked over it for a long time, so maybe there are some measures in place. 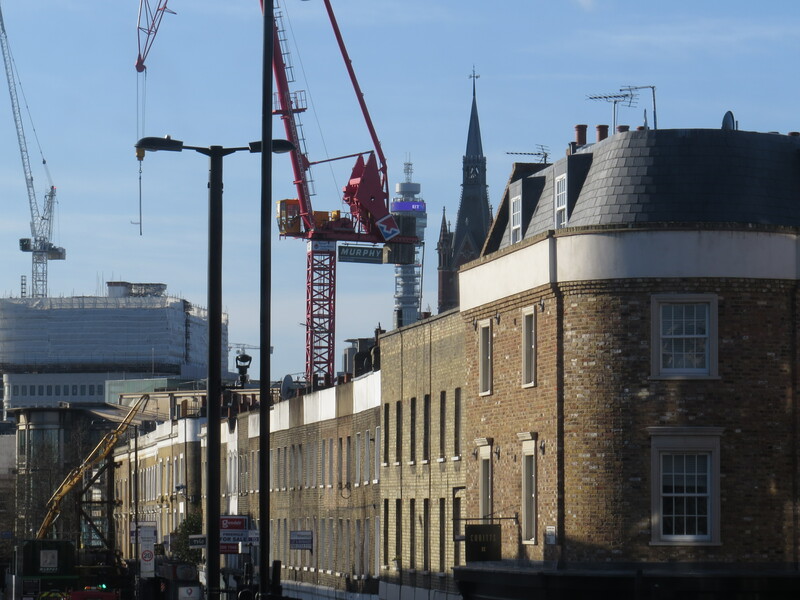 In other news, the view as we go under the bridge soon turns into one of the finest in London… The view starts to open up….see how tall The Shard is compared to everything else! 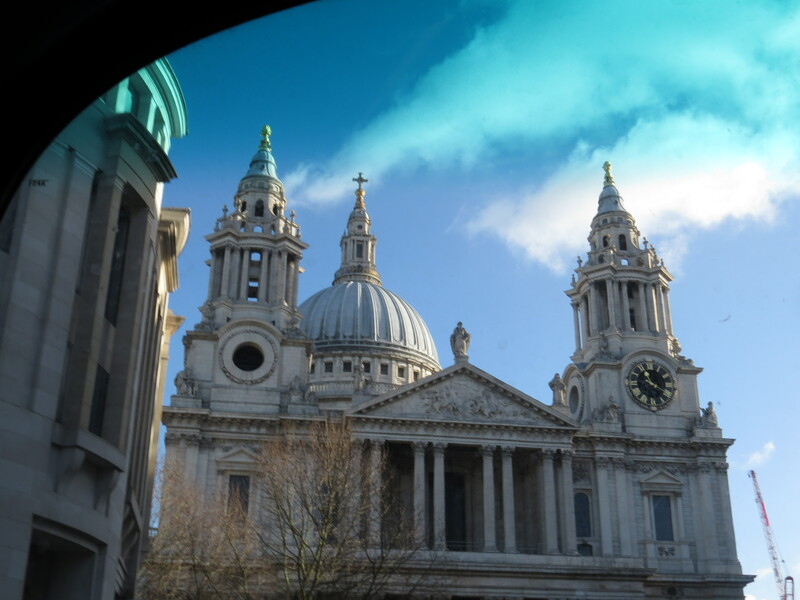 And if you look carefully, you can see my destination, St Pauls Cathedral. 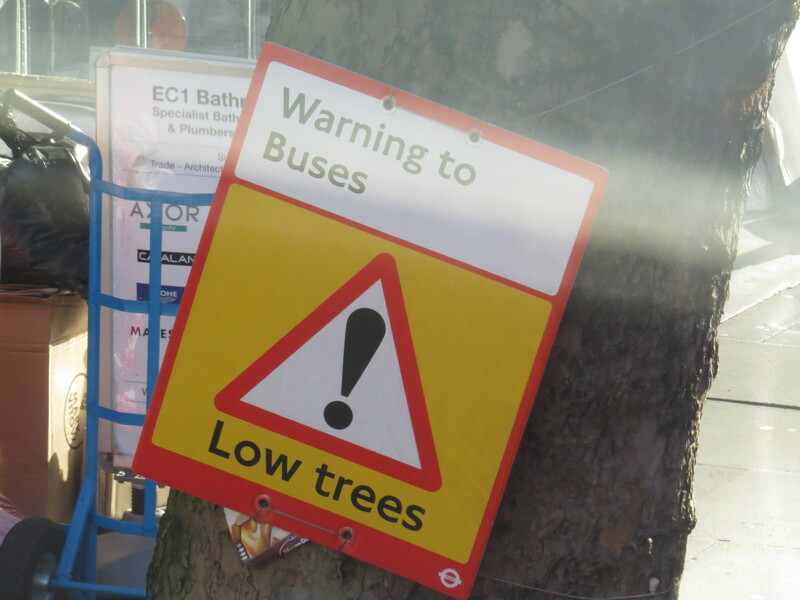 Off the bus at Archway, and I have about 20 seconds to get a snap of the street trees that were planted recently. One of the stone pines looks very unhappy, maybe it’s the pollution, but the other trees seem to be doing well. My husband swears that I have a little friend called ‘The Bus Fairy’ who produces a bus whenever I get to a stop. It certainly worked today, as a 17 pulled up before I could say ‘Blimey, it’s freezing’ (which it was). There was a determined Arctic breeze, and I was to meet it full on later. A young chap was taking advantage of the downhill to use his skateboard. Be careful, young chap! 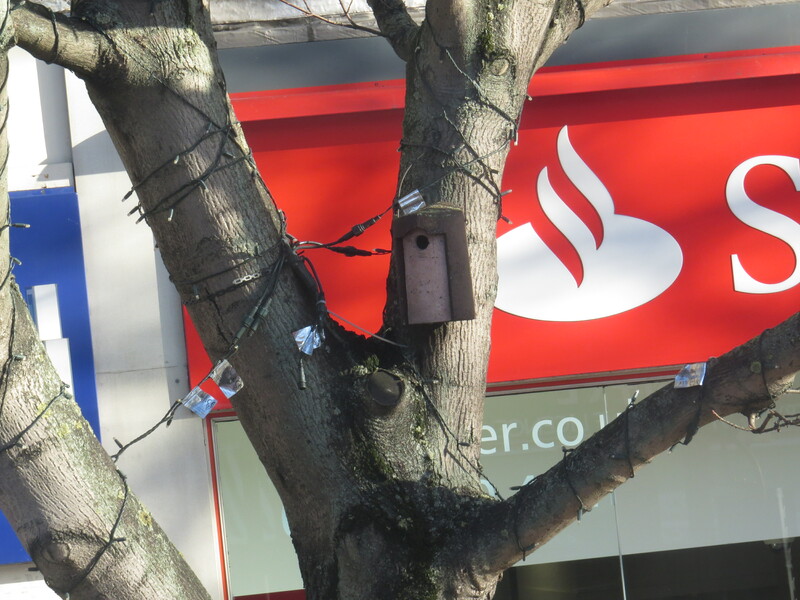 Many of the trees are not only trussed up in fairy lights, but have solid municipal nest boxes attached to their trunks. I’m assuming that the boxes are reinforced to prevent squirrels, rats and woodpeckers from getting in, but I do wonder how many little birds would choose this particular spot to rear their young, so close to buses and general urban vibrance. 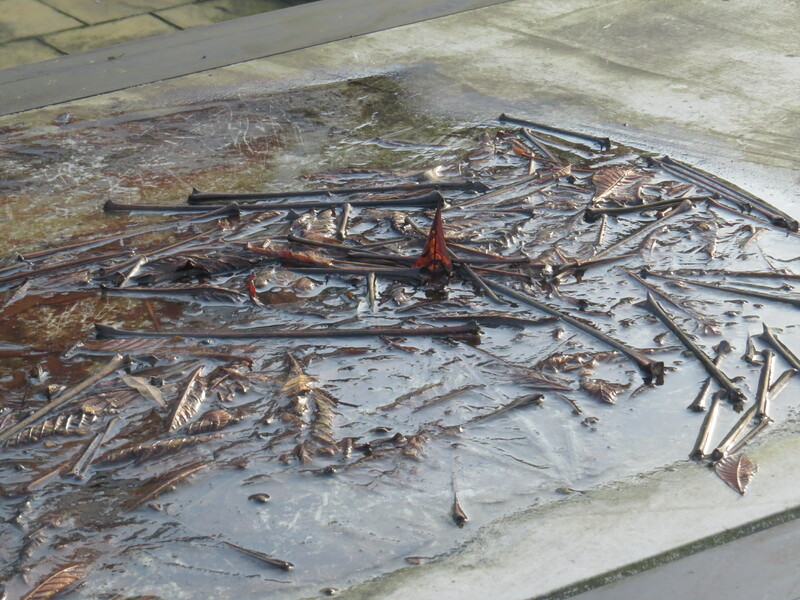 Also, what’s with the miscellaneous bits of tin foil? You do get a different view of the world from the upper deck, that’s for sure. 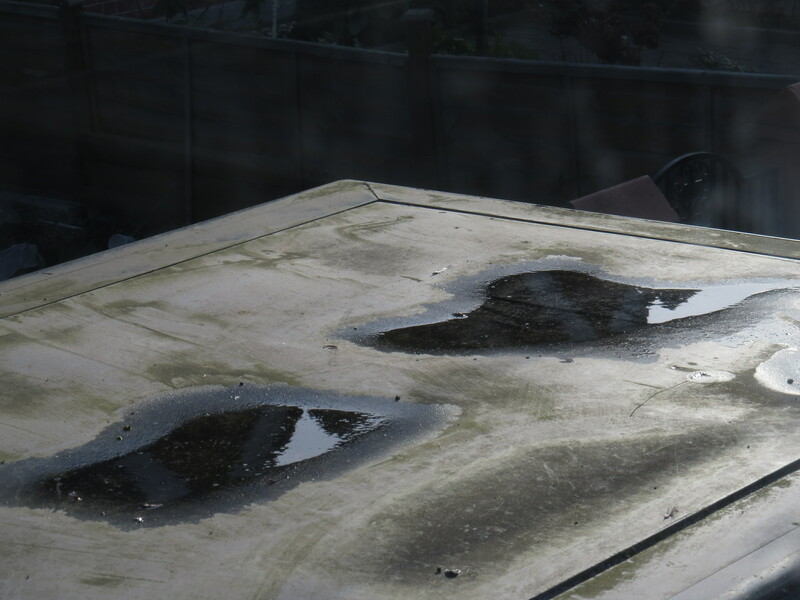 The roofs of the older bus shelters become micro-habitats in their own right, places for birds to drink and for little creatures to breed. The newer bus shelters have convex roofs so that the water runs off. Much less interesting. 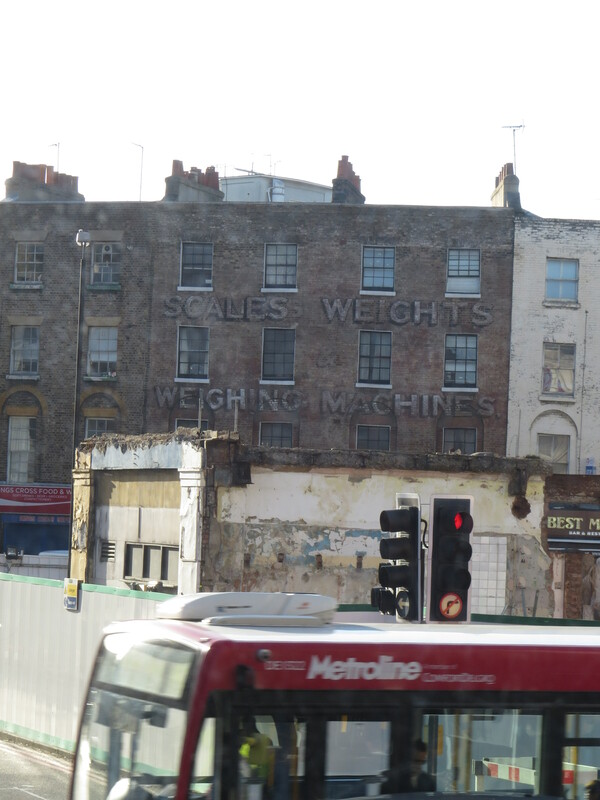 We turn onto Caledonian Road, and pass a most splendid example of what The Gentle Author calls ‘Facadism’ – the way that developers preserve the front of a building, whilst tearing down everything else. If you look closely you can see that a one-brick thickness of the original building has been attached to what looks like a very mediocre modern construction. 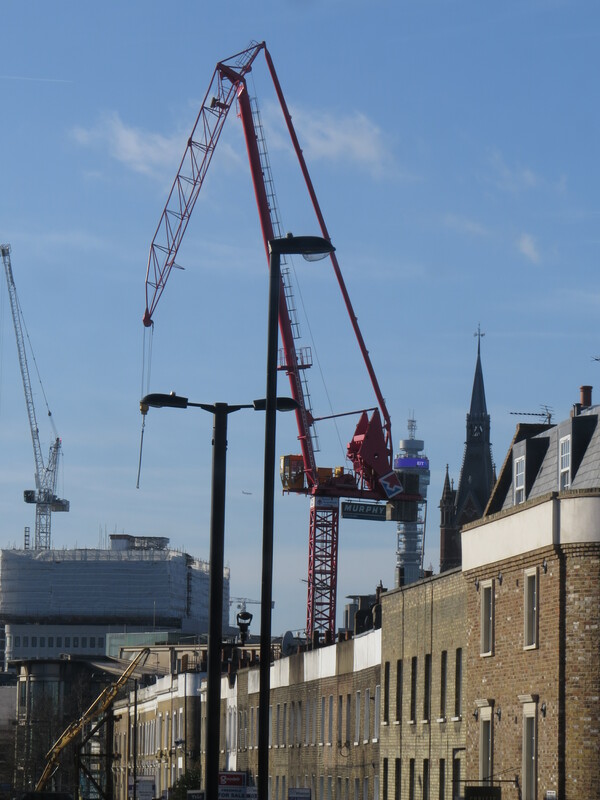 And it looks as if London has been taken over by an epidemic of cranes. 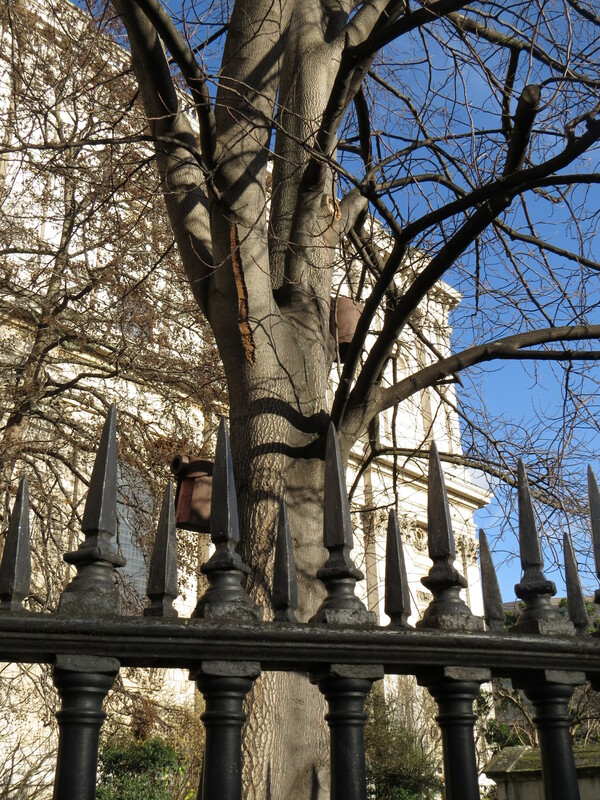 There are some truly remarkable plane trees in this part of London. I am always intrigued by the way that they seem to carry their seeds all year round. 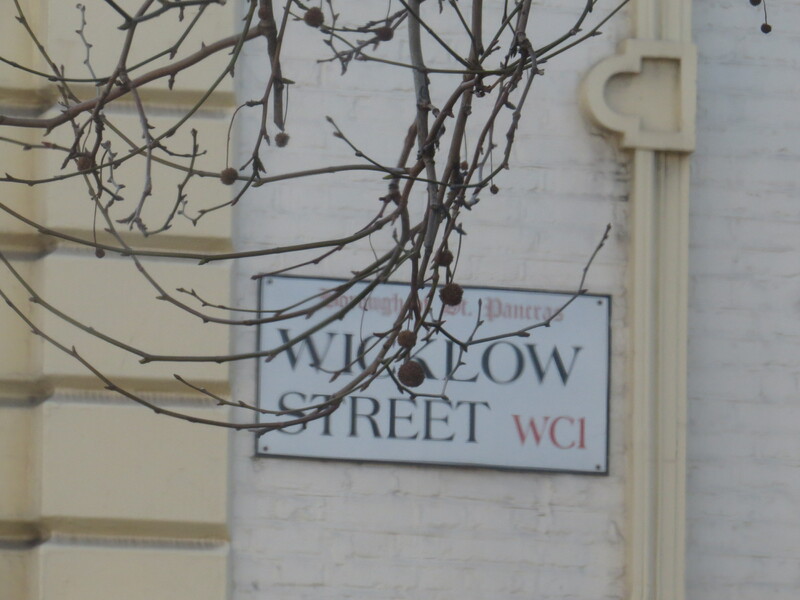 At the bottom of Gray’s Inn Road, there are some enormous London planes which lean out over the road at a most alarming angle. And just in case the bus driver didn’t notice them, there are signs attached to some of these behemoths. 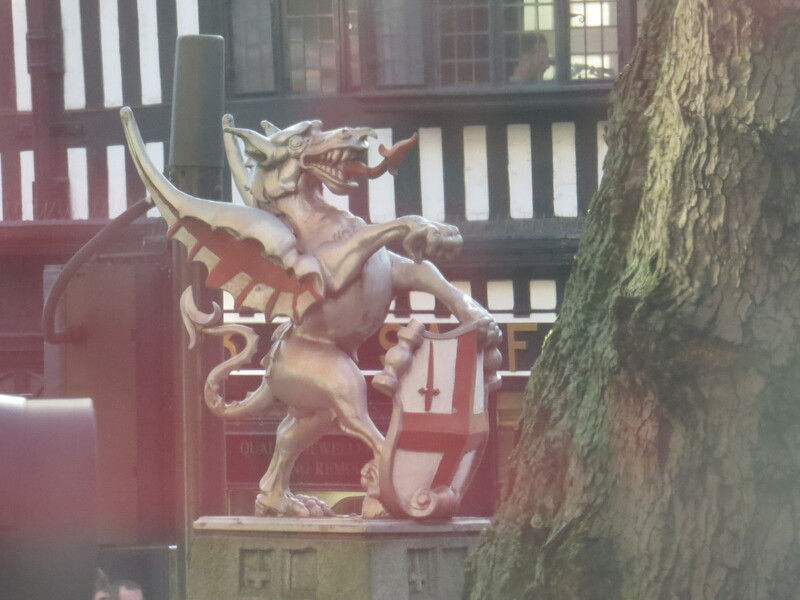 A dragon marks the edge of the City itself. 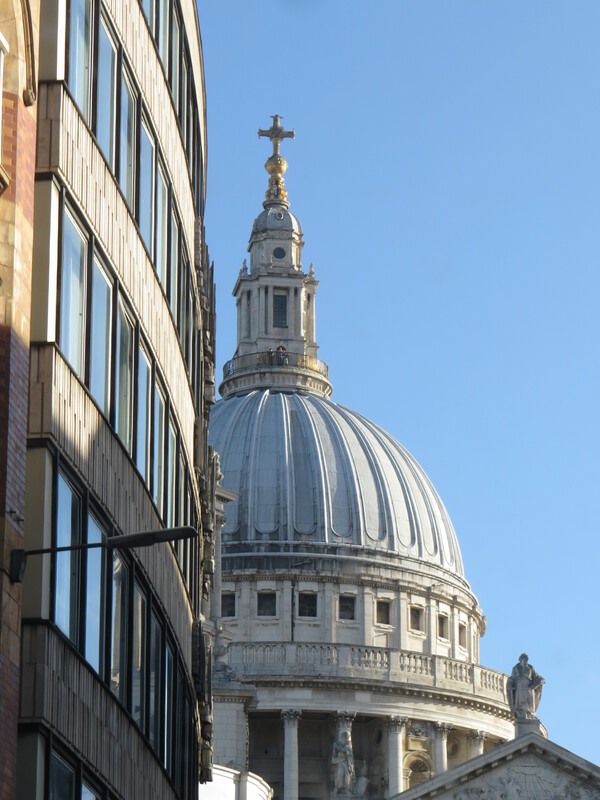 And then we turn the corner, and St Pauls shows itself, but gradually. 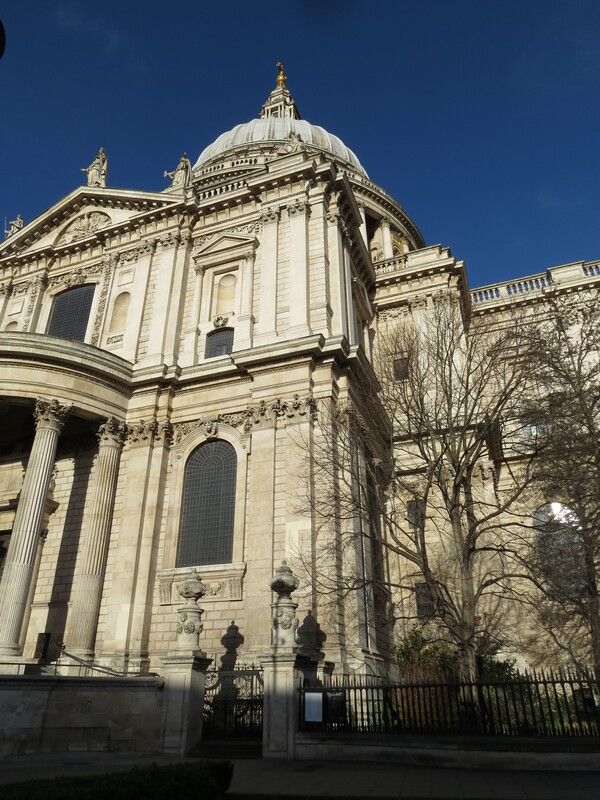 It is so enormous, compared to the buildings round about, that it can only be seen in its full glory when you are very close. And even in these hallowed grounds, there are nest boxes. And now, it’s time to cross the Thames and head to Tate Modern. But for that, dear readers, we’ll have to wait till next week. This entry was posted in Uncategorized on January 20, 2018 by Bug Woman. Excellent Vivienne. I love buses too. I always clamber upstairs and see if I can get a seat in the very front. Failing that, on the left-hand side – so I can spy on people and shop fronts, to whom one is ‘invisible’. I am such a child when it comes to buses. 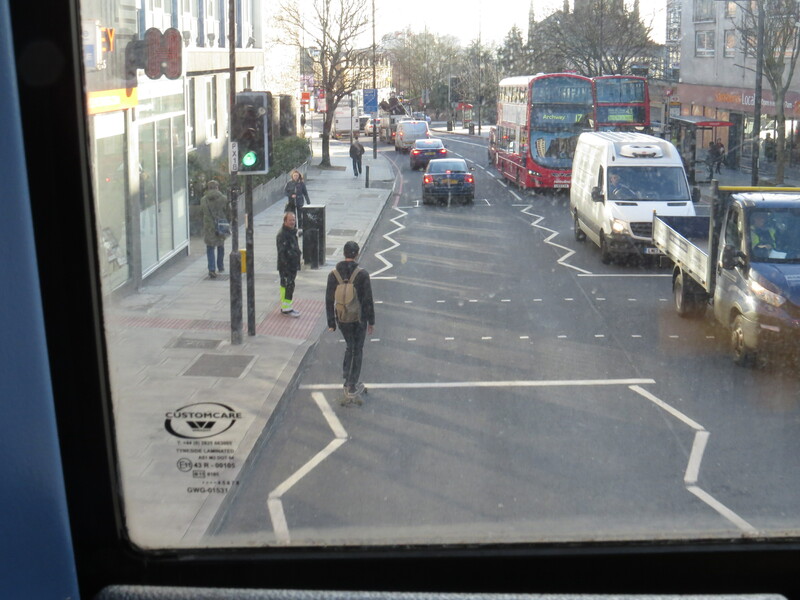 Sometimes I relent and move back if someone gets on with little children, especially if they don’t appear to travel on a double-decker very often, but the front left-hand side is definitely my favourite seat. 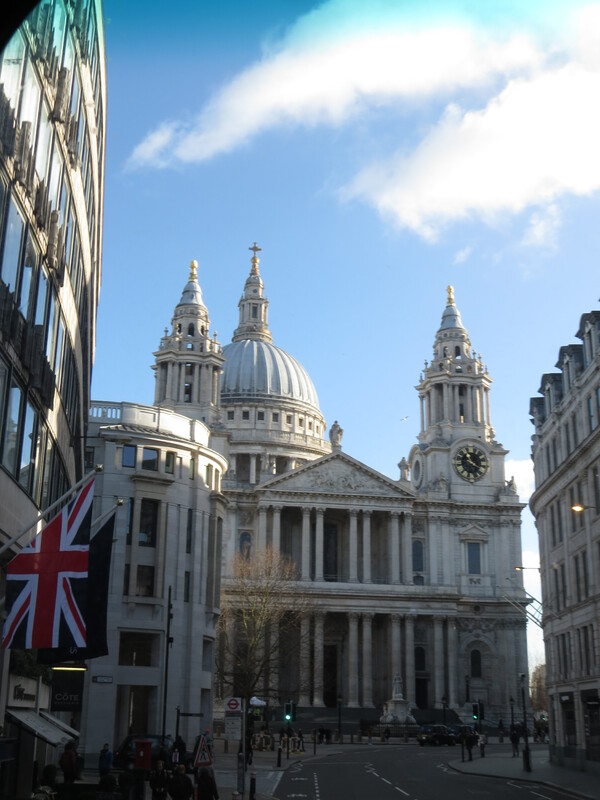 Loved coming with you on the bus – if you check out my blog you will see that we take our holidays in London travelling round by bus using our bus passes and we have discovered so many interesting things this way – it’s a whole new world from the top deck isn’t it? 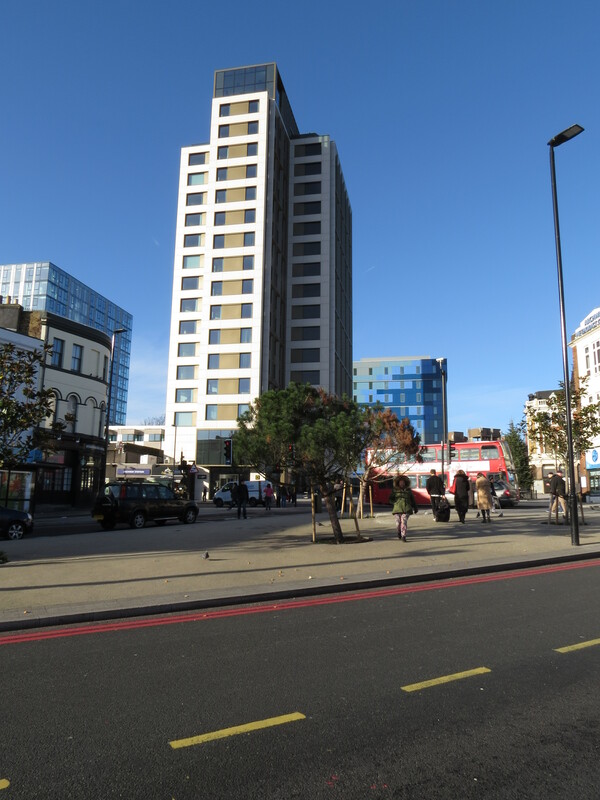 It was nice to see photos of the BT Tower, or as we remember it, the Post Office Tower. Our late father worked on the construction of the revolving restaurant on the 34th floor. How interesting, Fran and Bobby! I’ve never been to the revolving restaurant – it is still open to the public very occasionally, but there’s normally a very over-subscribed lottery for tickets. How exciting that your Dad worked on the construction! 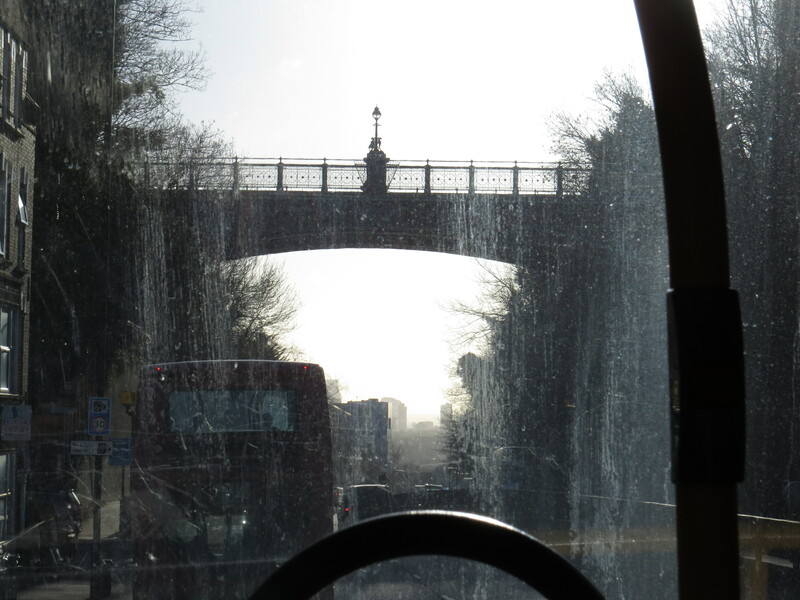 I was absorbed by your bus journey, and not just because I’ve been familiar with this route since childhood (I’ve never known the suicide bridge by any other name!). Only last month, I took the 17 from Archway station to St Paul’s so I could walk across the Millennium Bridge to the Globe Theatre. I love to take leisurely journeys by bus when I’m in London, as it’s a luxury I didn’t often have during my years of commuting by tube. When my son was little, he would rush to sit on the right-hand front seat on the upper deck, so he could pretend he was driving the bus! I always relish the opportunity to have a bird’s eye view of trees; and when I see a grand Victorian building, row of houses or parade of shops etched with the year of its construction, I’m fascinated to think what the neighbourhood would have looked like before any of the 20th and 21st century buildings were there. 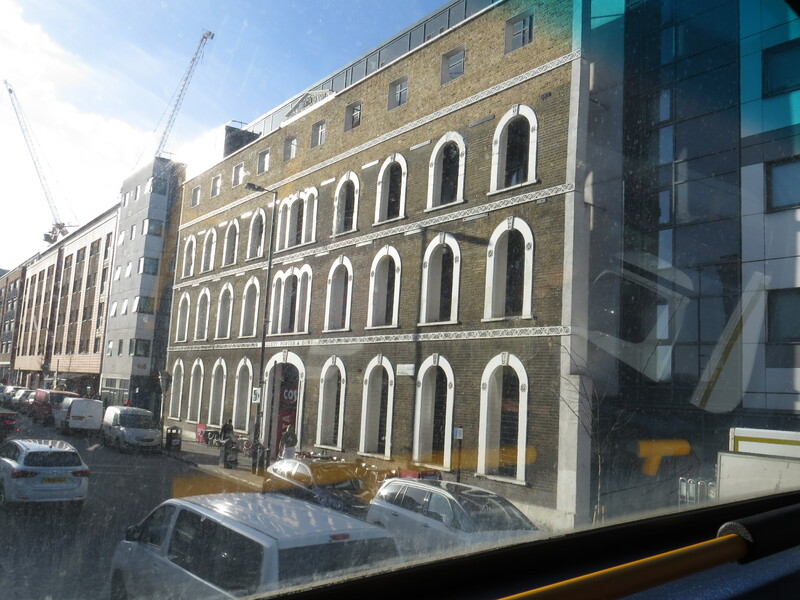 Next time, I’ll look out for examples of ‘Facadism’. Thank you, Elizabeth, I’m glad you enjoyed it! Whenever I sit at the front on the right-hand side I always ask my husband if he minds if I ‘drive’ :-). Well, I am only 58.